The Youngstown State University football team added over 20 players, counting walk-ons, on National Signing Day. Quite a few are coming from Mahoning Valley high schools. Mark Waid, the standout quarterback from right up Route 422 in Girard, has been talked about a lot and for good reason. 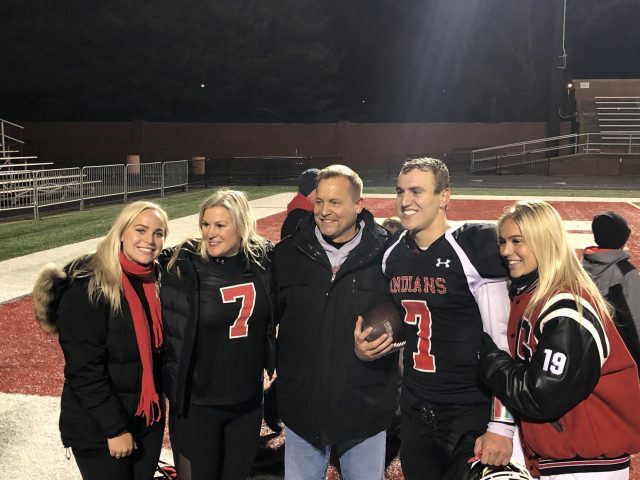 In his senior year, Waid threw for 3299 yards, 39 touchdowns and led his team to the State Championship game, where they fell to Wyoming High School. There’s a chance Waid winds up starting under center this year. He’ll at least be given the chance. Penguins coach Bo Pelini isn’t worried as much about the physical side of the game as he is the mental side. The transition for a true freshman at the quarterback position is far more difficult than other positions. The Penguins also added Troy Jakubec from Warren G. Harding High School. He committed to YSU before the New England Patriots were crowned Super Bowl Champions, but seeing former Penguins make the biggest stage in the football world had an influence on his decision. “That plays a big role because that’s — everybody’s dream is going to the NFL, and when you see people coming out of YSU and making it to the Super Bowl, winning Super Bowl rings and stuff, it plays a big role,” Jakubec told the Tribune Chronicle last week. In addition to Waid and Jakubec, the Penguins also added two defensive ends from Youngstown. The team brought in Cardinal Mooney High School’s Cheriff Jamison, a 6-foot-4-inch, 230-pound defensive end and Youngstown East High School’s Chris Fitzgerald, a 6-foot, 280-pound defensive tackle. 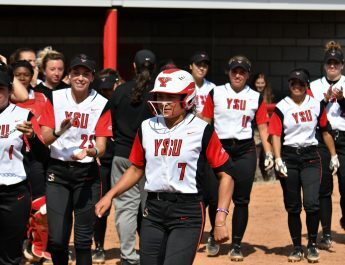 Multiple area players also are joining the YSU squad as walk-ons. Skill position players Alex Cintron and Josh Celli of McDonald, Isaac Hadley of Warren John F. Kennedy High School, Lakeview’s Tony Crish and Valley Christian’s Jordan Trowers. The Penguins also added linemen Terrance Yeboah of Youngstown East and Jarod Tincher of Canfield High School. Coming in as a transfer is lineman Matt Jones, a 2015 graduate of Hubbard High School where he was ranked as the top guard in Ohio. Jones is coming in from West Virginia University where he was the starting center for two seasons. Jones is most excited to come back home and have some local Youngstown food again. YSU added another kicker Colten McFadden, a transfer from Kent State University who graduated from Poland High School. McFadden will be the third in his family to kick for the Penguins. His brother Connor kicked for the Penguins until 2017 and his father Paul kicked for YSU before seeing significant time with the NFL’s Philadelphia Eagles. The Penguins kick off their season Aug. 24 against Samford University in the Guardian Credit Union FCS Kickoff game in Montgomery, Alabama.